The 2018 Great Cocky Count was released on 3 December 2018. 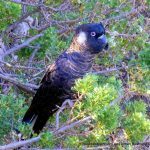 The Great Cocky Count is a long-term citizen science survey and the biggest single survey for black-cockatoos in Western Australia. 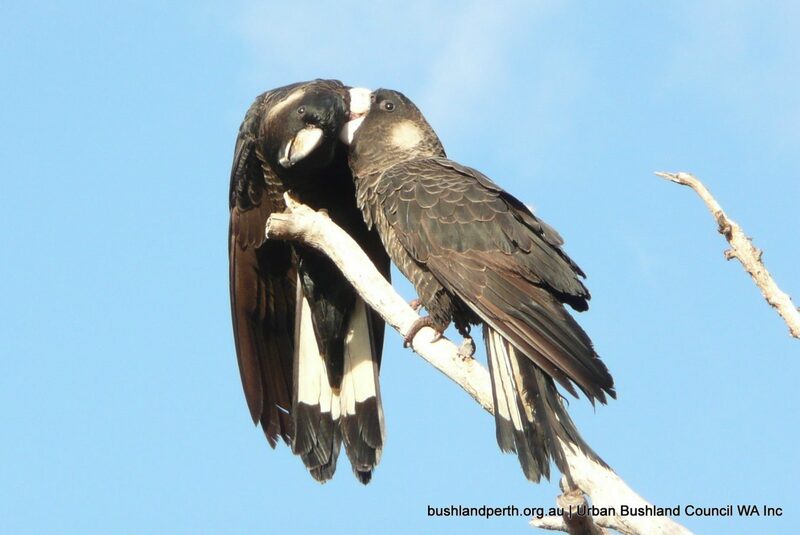 The GCC was held on Sunday 8 April 2018 and roost sites were surveyed for Carnaby’s, Baudin’s and Forest Red-tailed Black Cockatoos. All are endemic to south western WA and listed as threatened species under State and Commonwealth legislation. 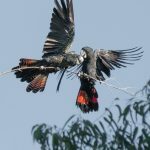 An additional count of Forest Red-tailed Black Cockatoos was undertaken at 15 roosts in the Greater Perth-Peel region on Sunday October 14 2018. This was the 9th consecutive count and the 10th overall. More than 750 Volunteers surveyed 416 sites across the southwest of WA. What are the key outcomes of the 2018 GCC? 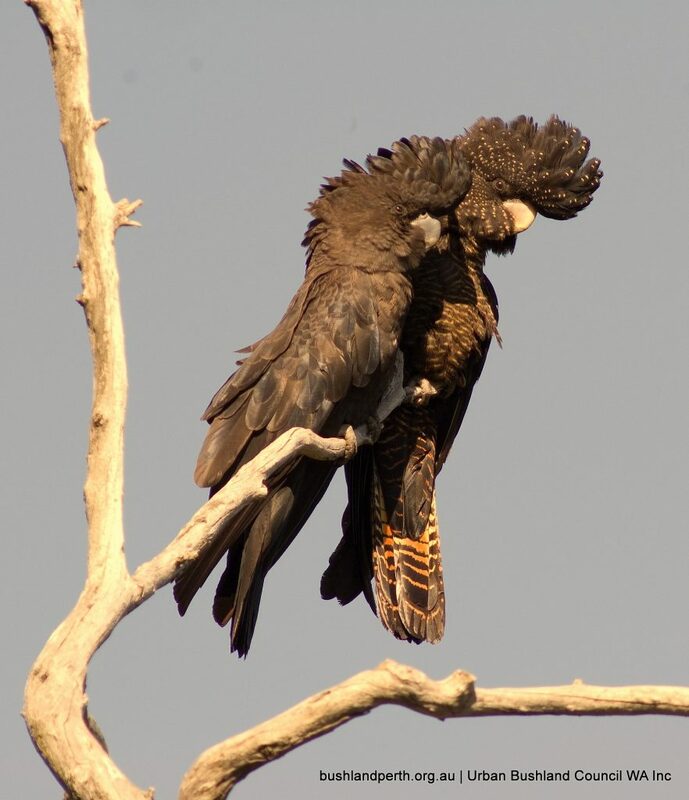 The minimum population count for Carnaby’s Black-Cockatoo in the Greater Perth-Peel Region was 13,145 (slightly higher than 2016 and 2017 and over twice the average for 2010-15). 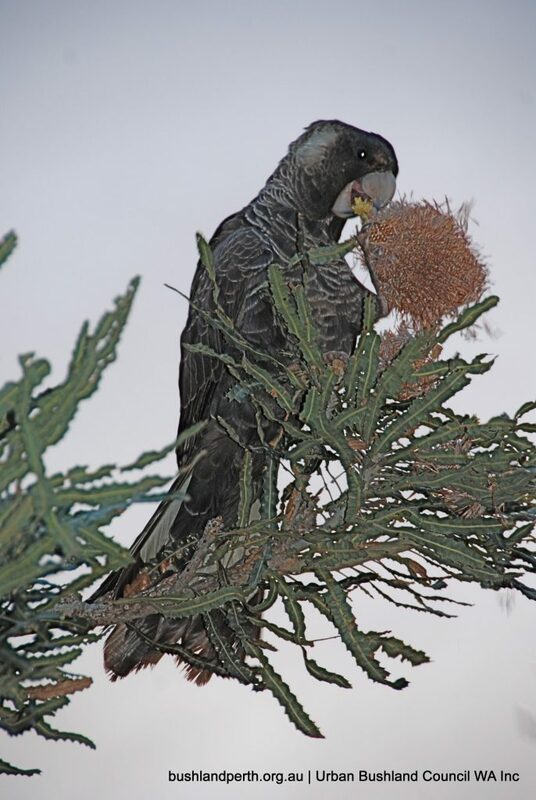 Most (65%) of the Carnaby’s Black-Cockatoos recorded in the Perth-Peel Coastal Plain were associated with the Gnangara pine plantation, north of Perth. Trend analysis of roost counts for Carnaby’s Black Cockatoo in the Perth-Peel Coastal Plain found that in recent years (2016-2018) the population has stabilised. However since 2010 there is an overall decline of 42% (approximately 5% per year). On the Perth-Peel Coastal Plain, the majority of Carnaby’s Black-Cockatoos are restricted to few roost sites, many of which are associated with pines. Protection of these sites and associated native feeding habitat is crucial to arrest the decline of Carnaby’s Black-Cockatoo and ensure its persistence in this region. 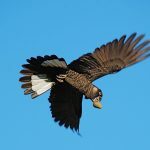 Retention of Banksia woodland and rehabilitation of former pine stands to avoid a gap in food resources in the near future in this region should also be seen as a high priority to protect this iconic species. 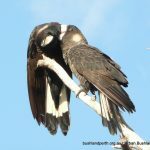 2018 saw a large increase in Forest Red-tailed Black Cockatoos roosting on the Perth-Peel Coastal Plain. This is thought to be due to a seasonal redistribution of birds from forested areas exploiting food resources such as Cape Lilac. Details of the Great Cocky Count can be found here. The future survival of these cockatoos is of great concern. 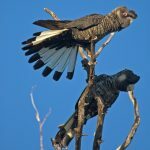 The impacts of climate change, alterations in the landscape,changing forest structure and the expansion of some native and exotic species that are competing with cockatoos are all having an adverse affect on cockatoo populations. Declining rainfall, for example, has already altered the foraging behaviour, distribution and, in some areas, migration patterns of cockatoos and will no doubt also influence breeding success. On the Swan Coastal Plain about 90% of the original vegetation has been replaced by cities, towns, farms, vineyards, orchards and industrial areas. In many areas the small patches of remnant bushland remaining are not in pristine condition. Furthermore, the entire structure of the adjacent Jarrah-Marri forest has been altered in the past 60–100 years. Work on all three species of cockatoo has encompassed a range of conservation issues. These include the identification of threats, help with the establishment of recovery and management plans, the identification of critical habitat and an improved understanding of their breeding biology, movements and changes in distribution and status. Research the breeding biology, current distribution and ecological status of all three species and the threats to their survival. Document areas of critical habitat (breeding, roosting and feeding sites); also species ranges and changes in populations due to impacts of landclearing, nest competitors, fire and climate change. 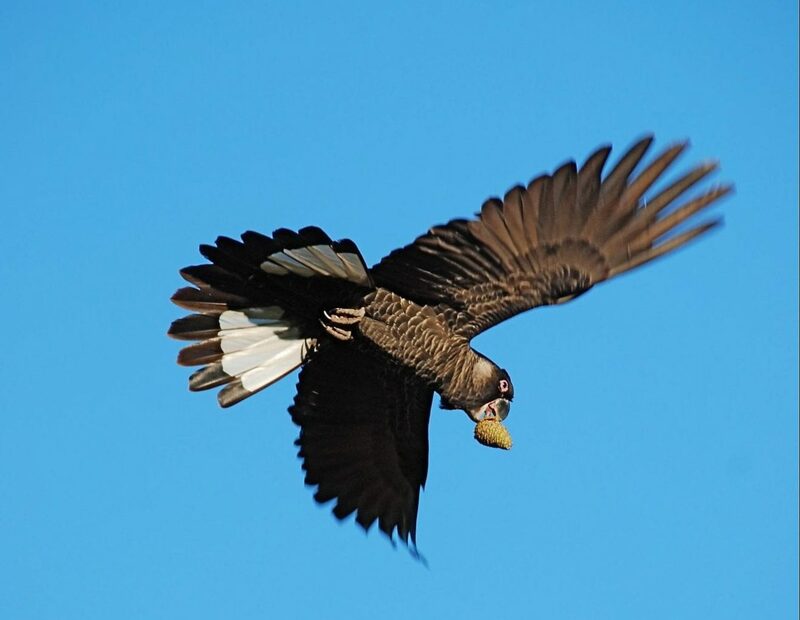 Conduct targeted surveys for breeding, feeding and roosting sites in important sections of the south-west including northern Darling Range, Swan Coastal Plain, Whicher Range, Albany-Walpole region and Leeuwin-Naturaliste Ridge. 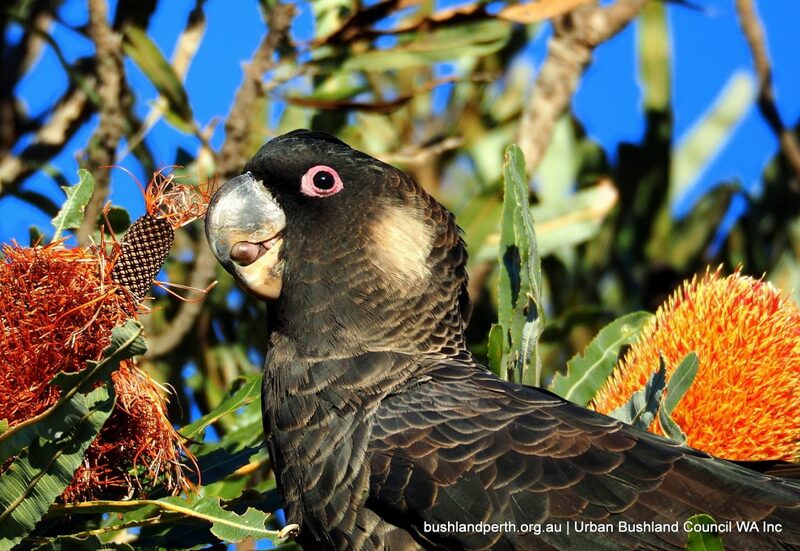 Provide information on habitat enhancement through habitat planting to help protect and restore native vegetation and terrestrial ecosystems and help with the design, installation and protocols for the installation of artificial nest boxes. 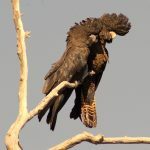 Increase public awareness of conservation issues related to black cockatoos and the importance of maintaining existing nest hollows especially veteran and stag trees and feeding habitats. 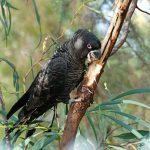 Assess the impact of introduced and invasive species including feral European honey bees, and Galahs and Corellas on cockatoo nest hollows and the development of effective eradication and control methods. 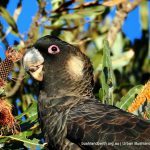 Urban Bushland Symposium Proceedings: Endangered Black-cockatoos. Download. West Australian Museum – Cockatoo Care Program. Kaarakin Black Cockatoo Conservaton Centre. A Tale of Two Cockatoos – Video. Artificial hollows for Carnaby’s Black-cockatoo. Using. Designing. Monitoring. 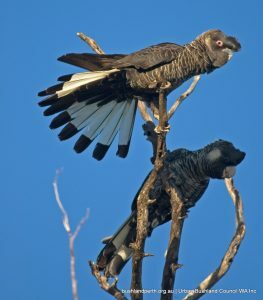 Managing Habitat for endangered Carnaby’s Black-cockatoo. Carnaby’s Black Cockatoo stripping bark – Hollywood Reserve. Photo: Marg Owen. 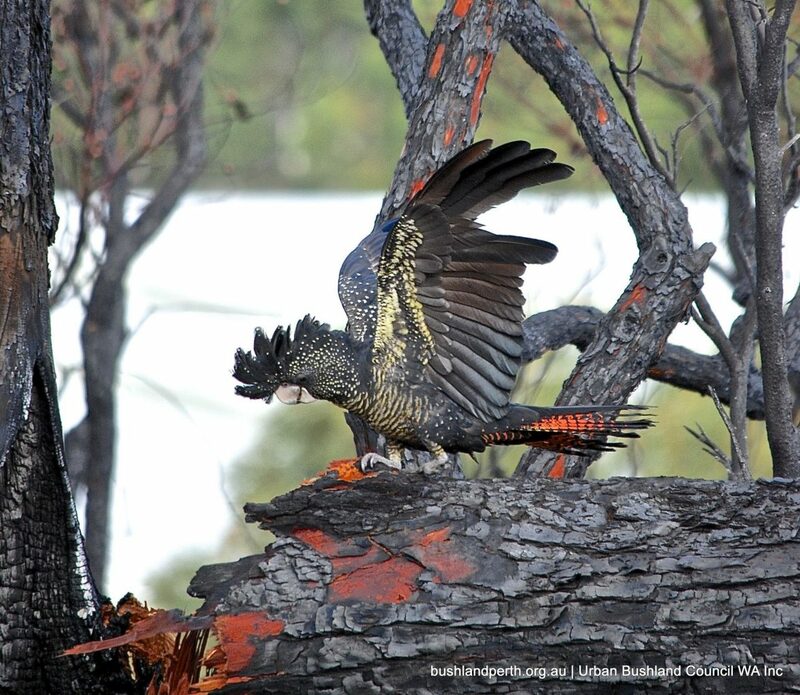 Red-tailed Black Cockatoo at Underwood Avenue Bushland – after the fire. Photo: Marg Owen. Carnaby’s Black Cockatoo with pine cone. Photo: Marg Owen. 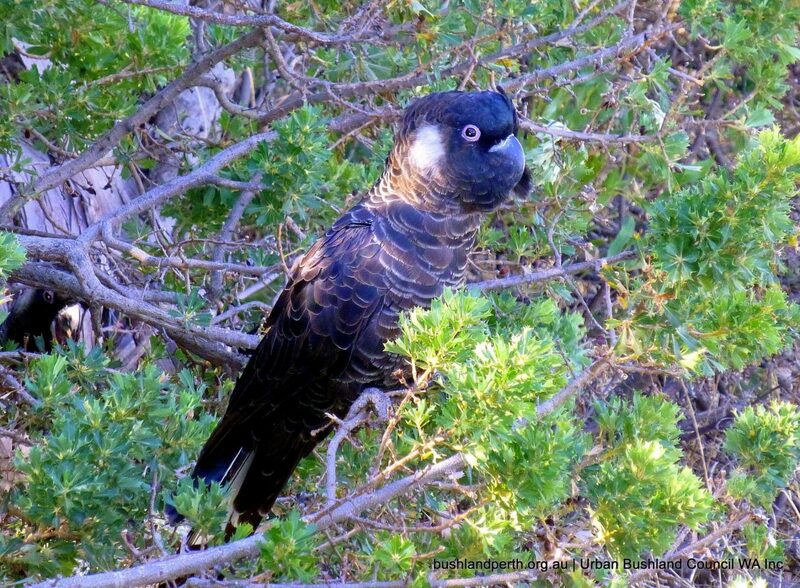 Carnaby’s Black Cockatoo – on Parrot Bush at Mosman Park Bushland. Photo: John Baas. 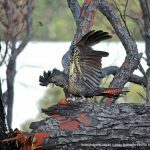 Carnaby’s Black Cockatoo on Firewood Banksia – Banksia menzesii. Photo: Marg Owen. 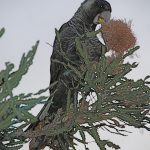 Carnaby’s Black Cockatoo – on Firewood Banksia – Banksia menzesii at Inglewood Triangle. Photo: John Baas. 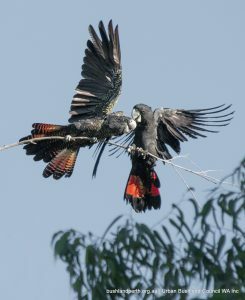 Red-tailed Black Cockatoos. Photo: Tony Kirkby. 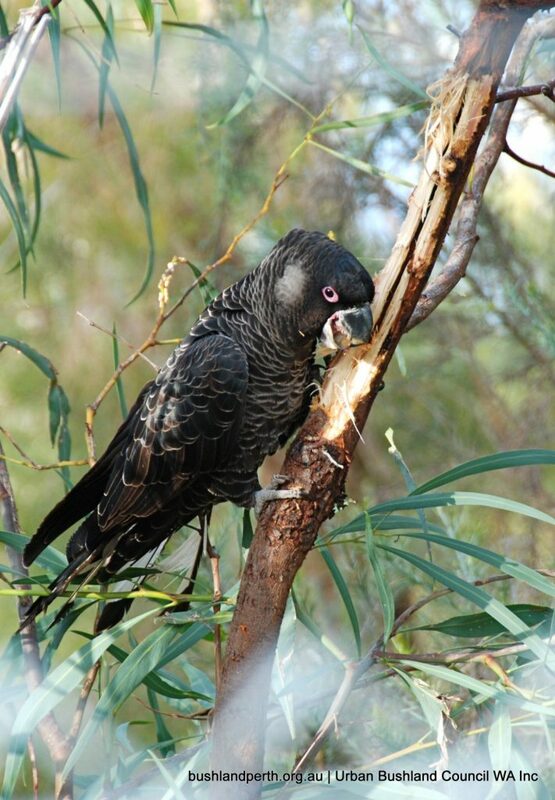 Carnaby’s Black Cockatoo at Queens Park Bushland – Photo: Friends of Queens Park Bushland. Carnaby’s Black Tailed Cockatoos at Bungendore Park. Photo: Kim Sarti. Red-tailed Black Cockatoos at Bold Park. Photo: Friends of Bold Park.